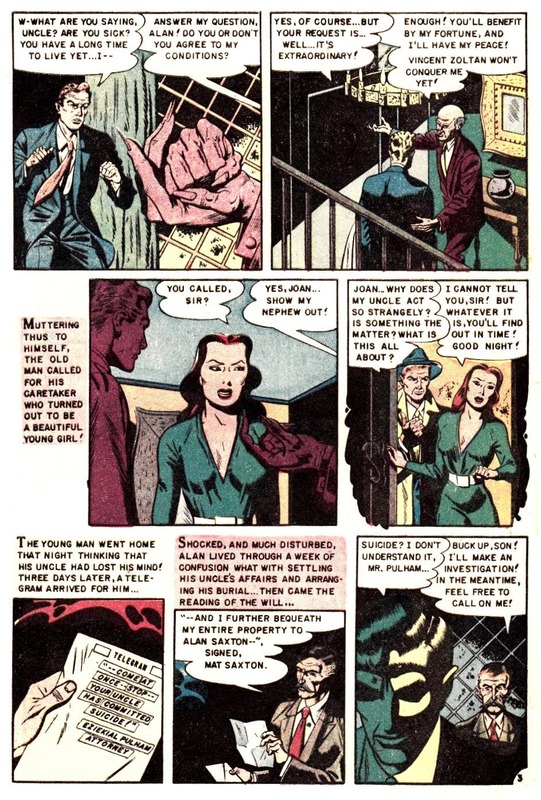 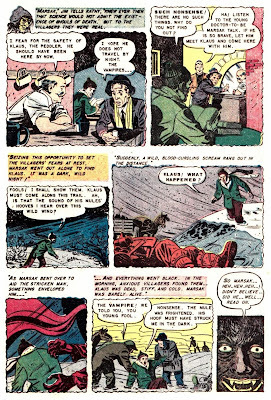 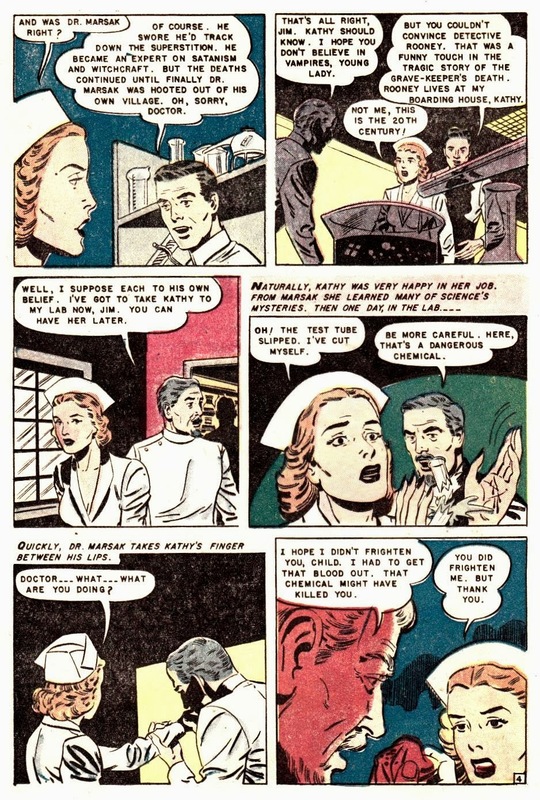 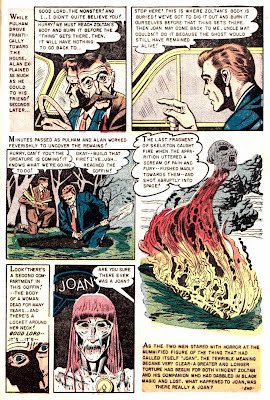 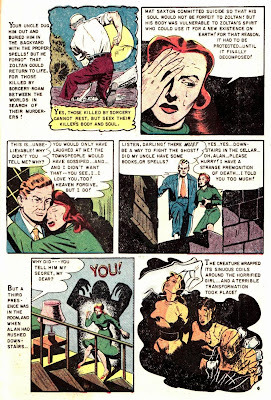 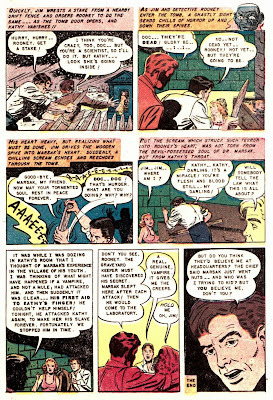 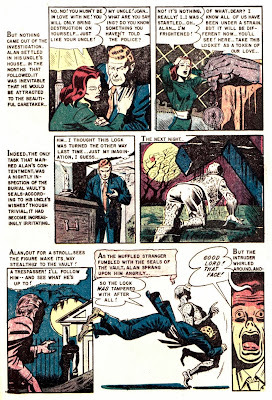 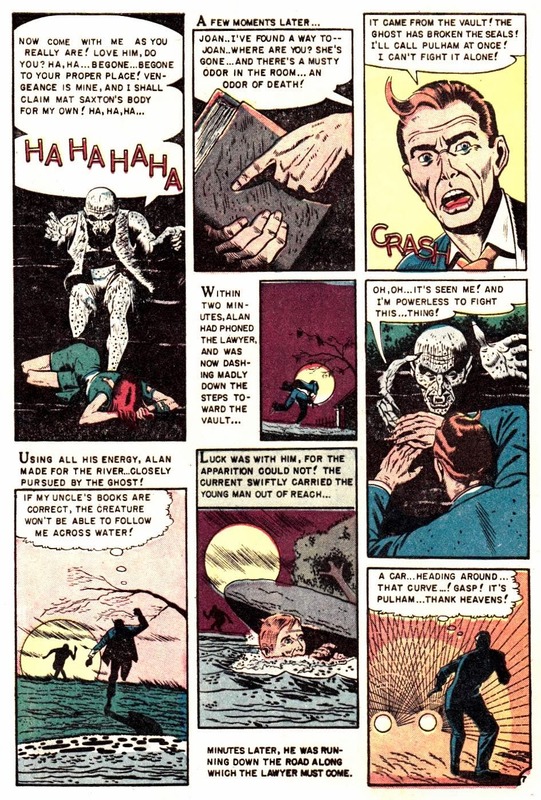 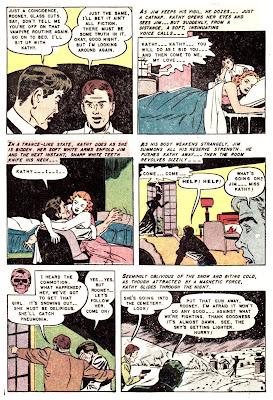 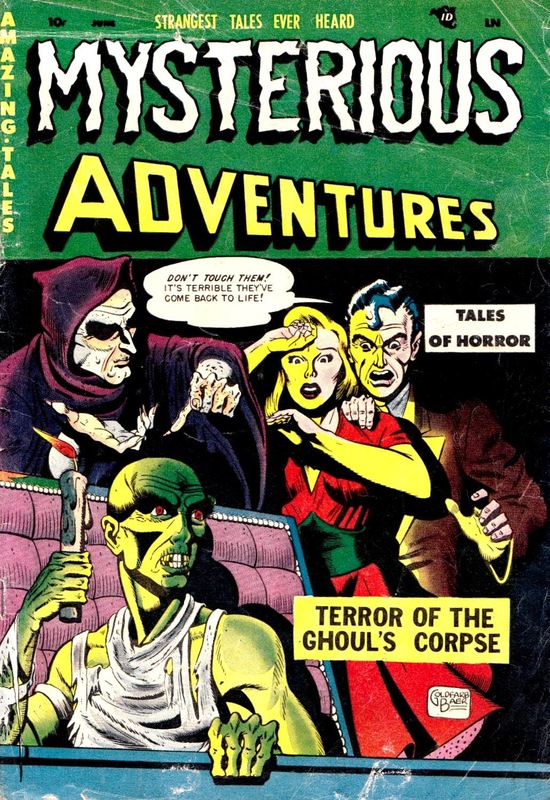 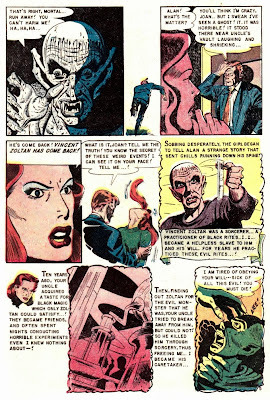 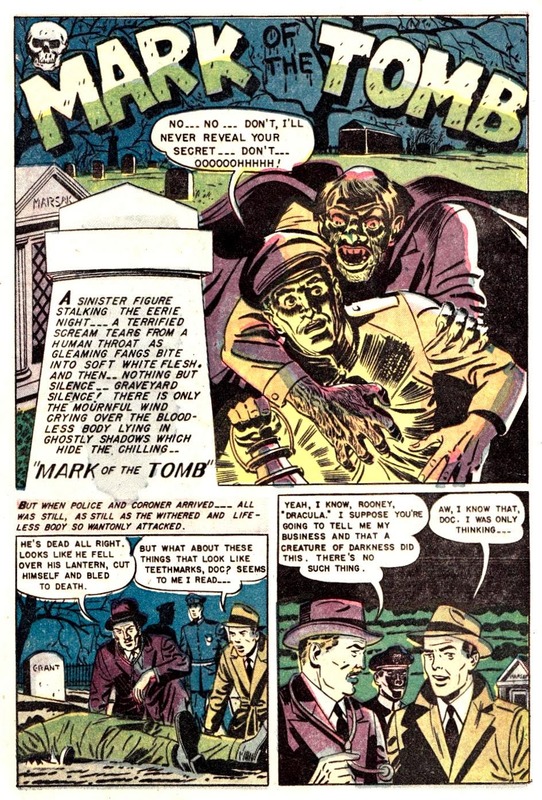 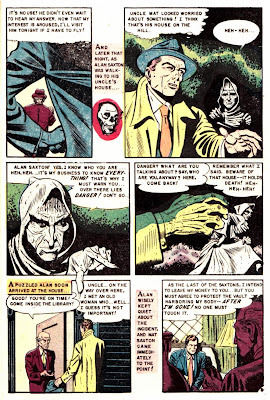 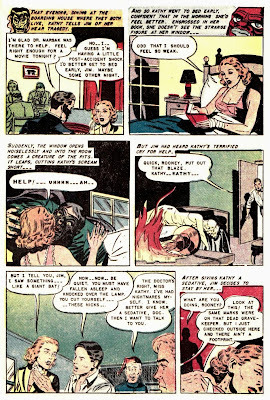 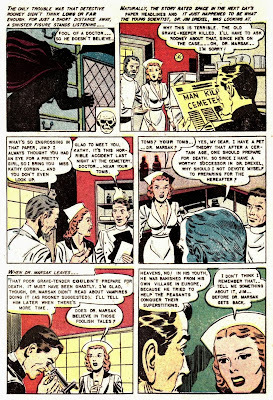 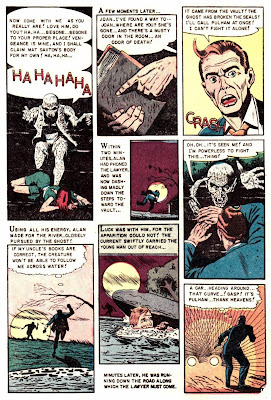 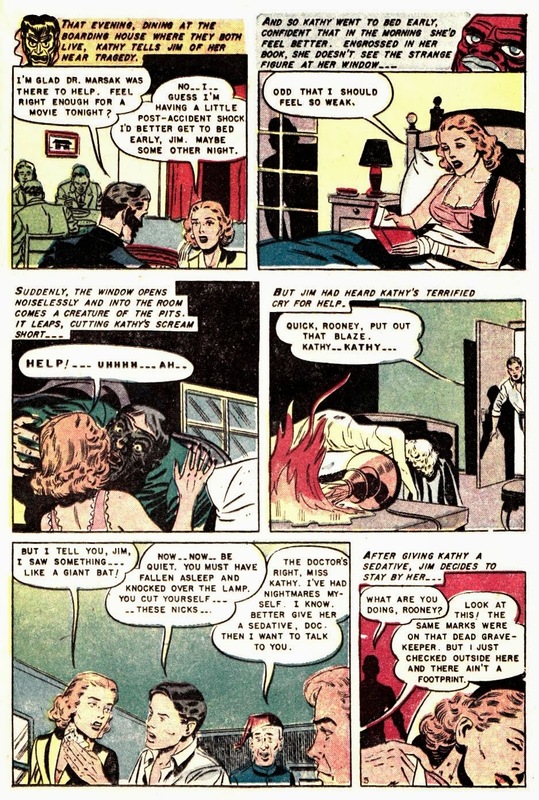 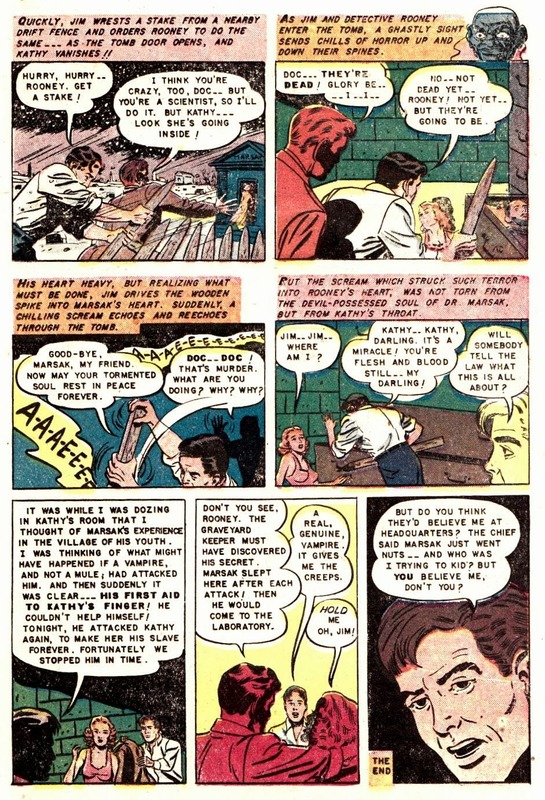 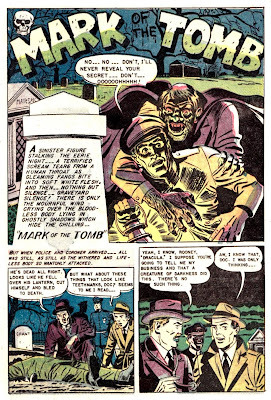 Kickin’ off 2014 with a couple of truly terrible tales from the June 1951 issue of Mysterious Adventures #2, a wild Story Comics series that started off a lot weaker than it ended out (two dozen issues later in 1955.) This doesn’t mean these stories aren’t entertaining though, because they are, in that lo-fi, ultra Z-grade way that bottom barrel B-films entertain. 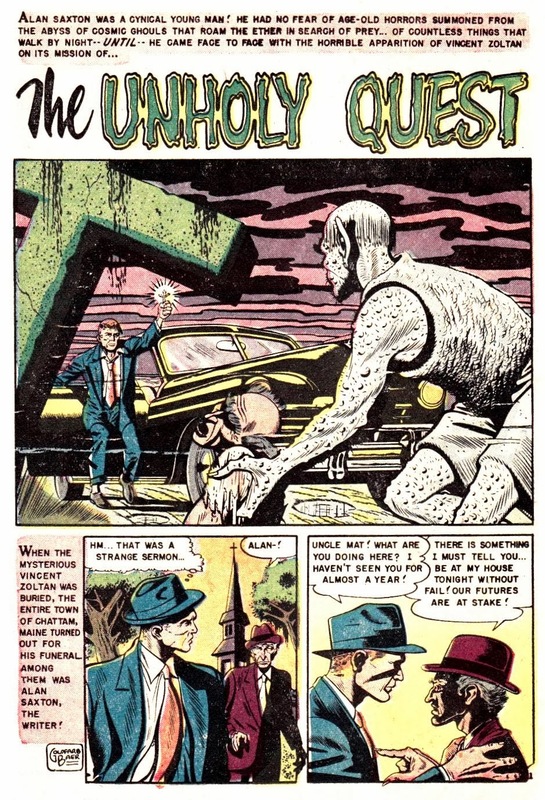 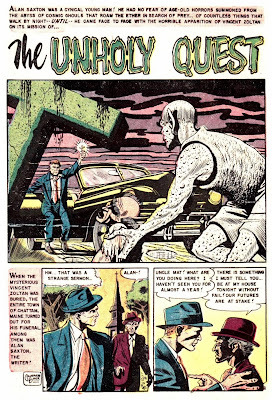 Ed Goldfarb and Bob Baer are responsible for not only the cover art, but also the art in “The Unholy Quest”, a tale that would later get reworked by Cirilo Munoz for Eerie Publication’s Weird V4#6, and Tales of Voodoo V4#5 —retitled “Black Magic.” Another double header from this issue in our next post as well, stay tombed!